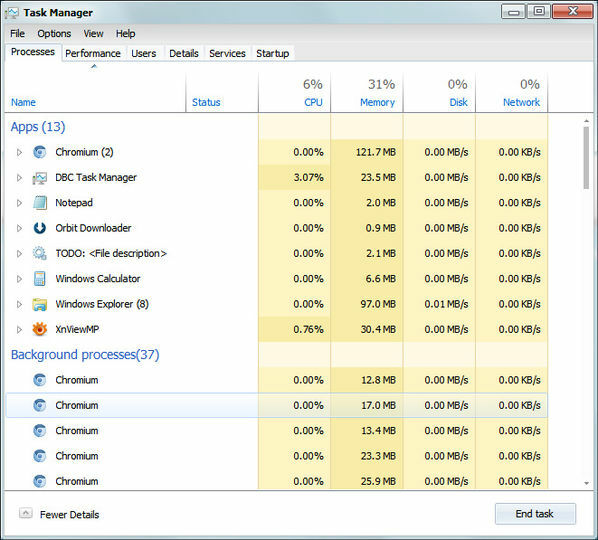 DBC Task Manager is a Windows 8-like Task Manager that you can run on Windows 7. Microsoft updated the Task Manager utility in Windows 8, but a lot of people have decided not to upgrade to Windows 8. However, you can still get the new task manager look with this tool.